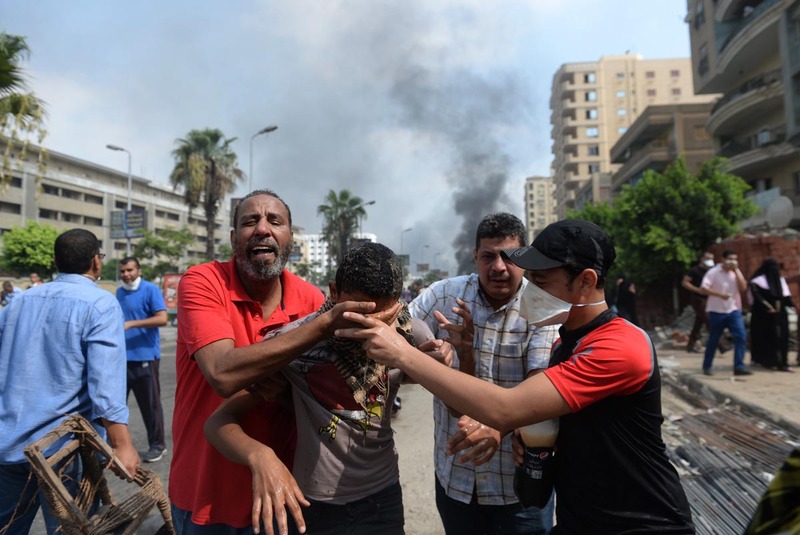 Official figures put the death toll from today’s violence at roughly 280, about 235-240 of them civilian and the rest security forces 525, with thousands injured. As I was following this story throughout the day, the “official” government casualty figures consistently lagged behind other, unconfirmed reports, so it’s quite possible that even these figures are too low (UPDATE: INDEED THEY WERE, AND I’VE UPDATED TO REFLECT THE MOST RECENT FIGURES). 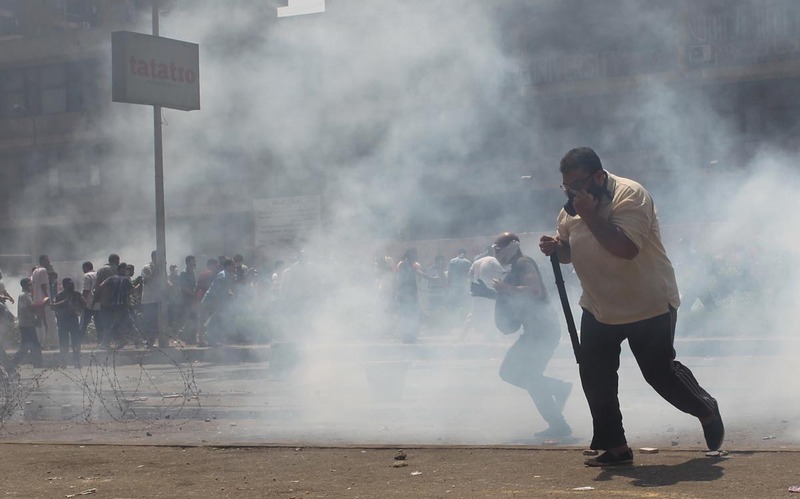 Egyptian security forces raided two large pro-Morsi protest camps this morning, a decision that Prime Minister Hazem el-Beblawy was at least willing to say “was not easy,” so that’s nice of him. The government did all it could, he contended, it waited as long as it could to give mediation a chance to get the protesters off the streets before the police had no choice but to go in and remove them by force. What he failed to explain was why the protests had to be broken up at all. If the protesters had been a inconvenience for the government or its supporters, imagine how much more inconvenient things are now for the thousands whose loved ones are gone forever. If they had been a threat to stability, how much more threatening is the possibility that these protesters may now avail themselves of other means of registering their discontent? 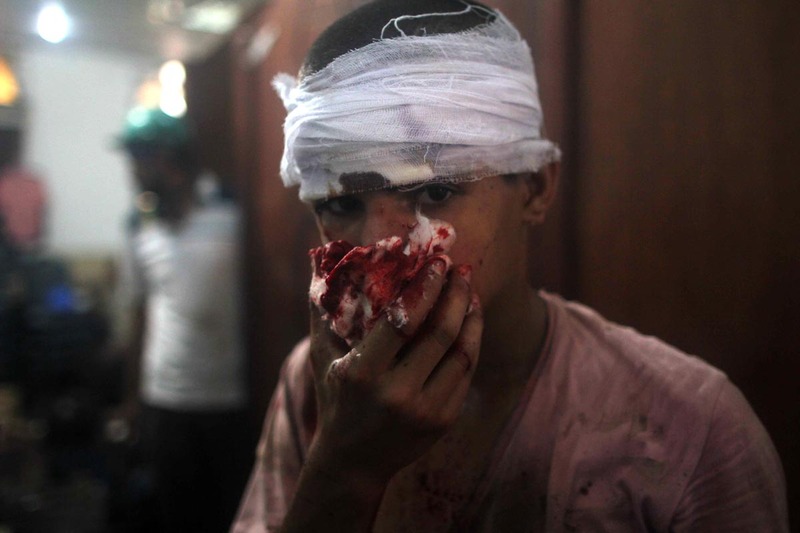 The Egyptian government had been threatening this for weeks now, saying that time was running out for negotiations. Who was keeping time? Why? They never said. 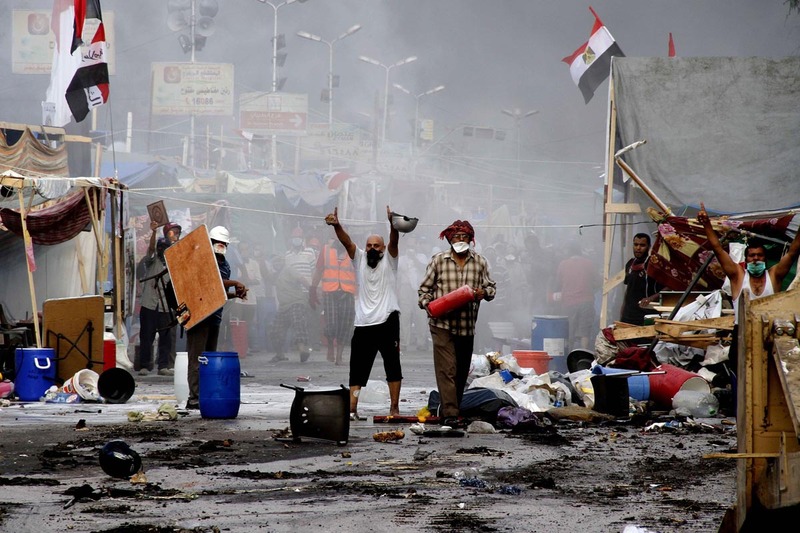 The Brotherhood’s protesters refused to budge from their position that Morsi, who was the legally elected president as if that matters, should be reinstated, so they had to be forcibly dispersed. Does that make sense to anybody? Imagine the National Guard being sent in to bust up a Tea Party rally because its members refused to drop their belief that Barack Obama is not a US citizen. Would anybody in this country tolerate that? The stance that Egypt’s legally elected president should still be her president is infinitely less absurd than the belief that Obama isn’t a US citizen, but we would never permit military action to be taken against people who hold the latter view. Since when does holding a position the government doesn’t like entitle you to be chased from public land and fired on by snipers covering what were ostensibly the streets by which protesters were expected to retreat and disperse? Yet the secular, “liberal” National Salvation Front praised the Egyptian military’s profoundly illiberal action, as it did last month when it overthrew Morsi in what, if there was ever any doubt, can now unquestionably be called a coup d’etat. What happens now? 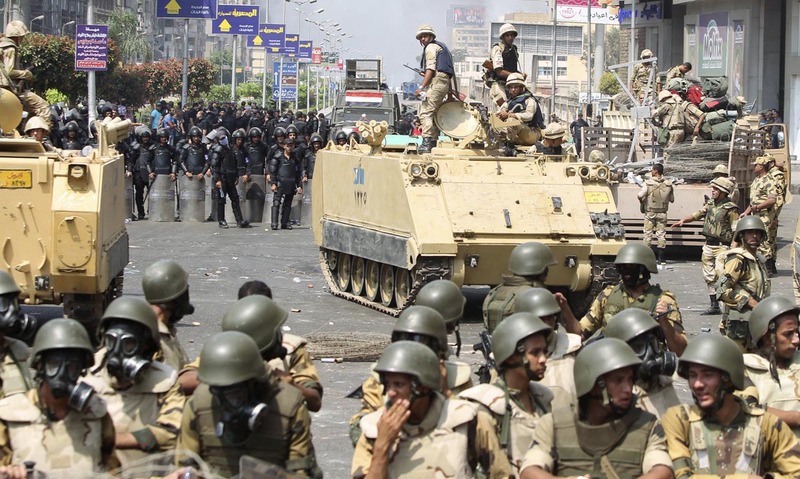 Egypt is under martial law for at least the next month, and there’s little chance that won’t be extended.The military and police will have almost total freedom to act against what they perceive to be threats against the state, and there’s no doubt they will act and there will be more violence. Assuming the country comes out of martial law and actually moves to reestablish real civilian government (not the farce that’s currently in place), what can that government possibly look like? Will it be democratic? How? The Muslim Brotherhood could be barred from participating in politics, something that noted democrats King Farouk and Gamal Abdel Nasser did, but that ain’t democracy, sorry. Or they could be invited back in to a political system that has strong checks against religious majoritarianism built in, something that was a possibility yesterday but not anymore. What incentive would the Brotherhood have to participate in Egyptian politics again at this point? 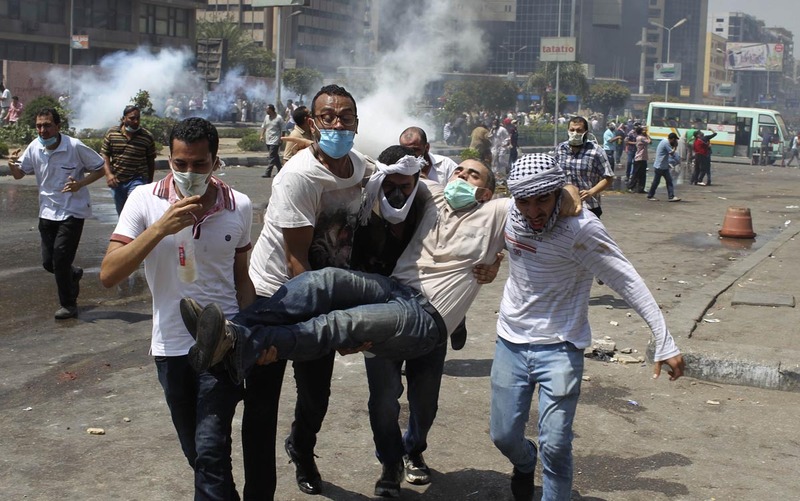 If they ever win an election, they’ve learned that they can expect the military to boot them out of power at its first whim, then unleash the full power of the Egyptian security apparatus against their members. 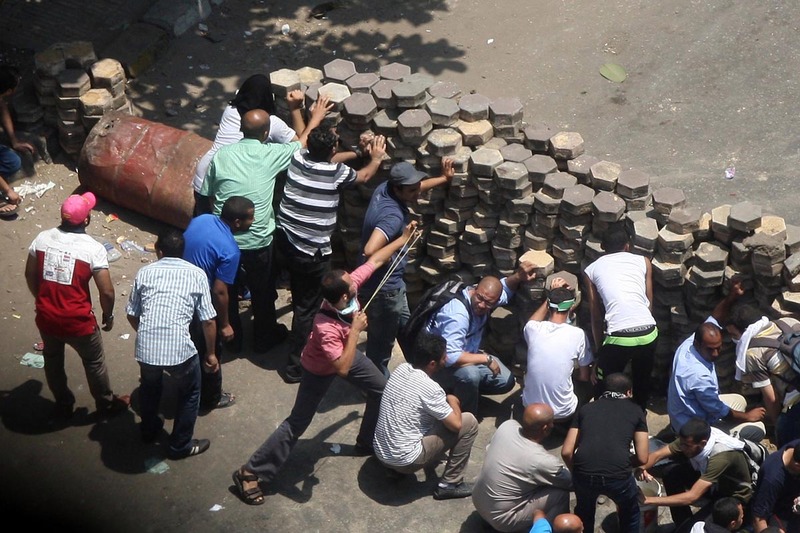 The signs that the Brotherhood is removing itself from politics and turning toward terror and violence are already there, in the Coptic Churches that were attacked by mobs of Brotherhood supporters as the day wore on. These senseless acts are no more justifiable than what the government did; indeed, plenty of “liberal” voices latched onto the church attacks as proof of the necessity of the government attacks, even though the safest thing for Egypt’s Copts would be a Muslim Brotherhood that is heavily engaged in the political system, which too many of Egypt’s “liberals” want to prevent. No, it is much more likely that the Brotherhood retreats fully back underground, where it existed and made trouble for Egyptian authoritarians for most of the 20th century. And make no mistake, Egypt is back under military authoritarianism, or more to the point it was never really out from under it. Mubarak’s ouster and the elections that followed put a democratic sheen on the system, but Abdel Fattah el-Sisi controls Egypt as completely as Mubarak, or Sadat, or Nasser before him. He’s running the show, whether he’s prepared to acknowledge it or not. Meet the new boss, same as the old boss. What makes it all the more devastating is that none of this was inevitable. When Mubarak fell there was no reason why Egypt’s leading secular liberals couldn’t pour their energies and resources into organizing an effective political movement rather than bickering among themselves and establishing their own, Balkanized cults of personality that were no match for the tightly honed organization upon which the Brotherhood could draw. When Morsi was elected there was no reason why he had to govern without regard for the rule of law or the power of consensus. There was no reason why he and his government couldn’t focus on Egypt’s crippled economy rather than fighting petty political battles and trying to game the political system in their favor. 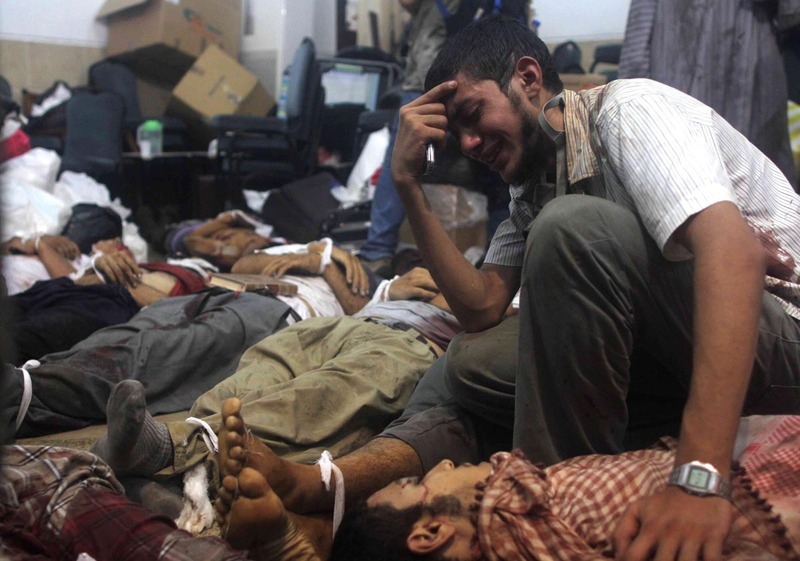 There was no reason why the people of Egypt had to elect the Brotherhood in the first place. The failure here is universal, the blame is ubiquitous. 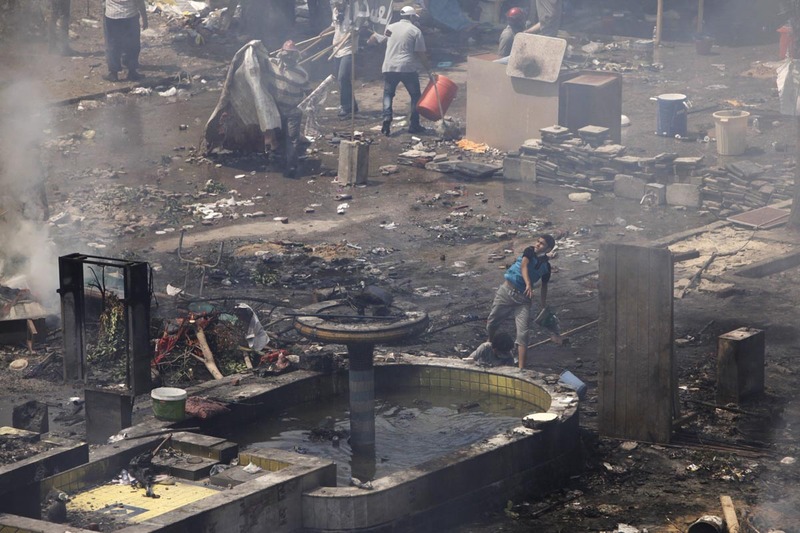 Hundreds are dead, many more are probably going to die before its all over, and in the end Egypt is likely to be right back where she started. The more things change, right?